Ed Brubaker's comic is described on his own website as following: What if you were an ex-super villain hiding out in Witness Protection... but all you could think about were the days when the rules didn't apply to you? Could you stand the toil of an average life after years of leaving destruction in your wake? And what if you couldn't stand it? What would you do then? Does the synopsis not alone get you intrigued for a feature film or at least to read Brubaker's original comic? I know it has me hook line and sinker. At the very least it is a different take on the superhero craze that we are witnessing in Hollywood. The question is, will 20th Century Fox do a bang up job on adapting the comic to film? The story seems well suited for the big screen and a summer blockbuster, but that doesn't always mean success. At this time Fox has hired Robert Schenkkan to pen the screenplay, however no director is attached. Schenkkan can be best recognized from his recent work on HBO's The Pacific. Peter Chernin and David Engel are set to produce the adaptation under their perspective banners. 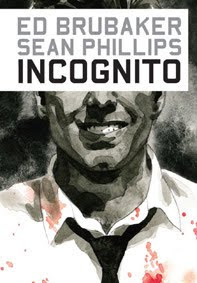 No timetable is given, but I would imagine late 2010 or early 2011 "Incognito" could go in front of cameras. 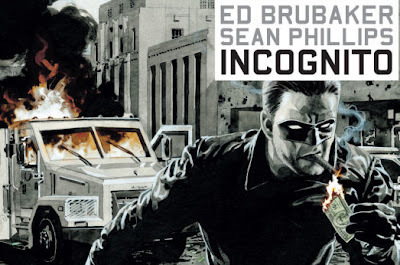 Mike Flemming over at Deadline recent spoke with the comic creator Ed Brubaker and spoke a about how "Incognito" is different from normal comics stories. He said, "We’ve all seen the story of a good person who goes undercover and gets corrupted. This is a bad person forced to live among regular people, and how he’s affected by that. He once ran around with a mask, but now he’s got the fake name and the fake job. My goal was to have you rooting for him as he grows a conscience."